This post was written by Martin Ekuan, Director of Developer Content Experience in the Windows and Devices Group. 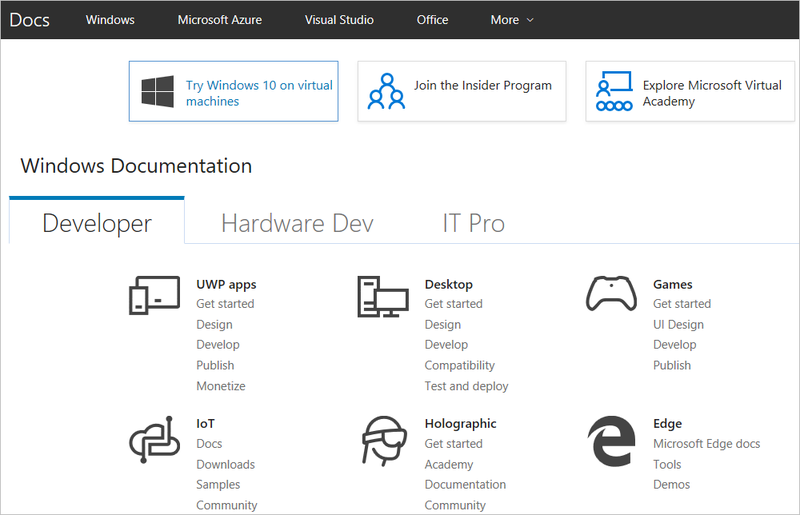 I'm excited to announce the release of the Universal Windows Platform (UWP) documentation on Docs.Microsoft.com. Docs.Microsoft.com is the one place for Microsoft's technical documentation. As part of this release, we've also included the docs for the UWP APIs, Microsoft Edge, and Cortana. 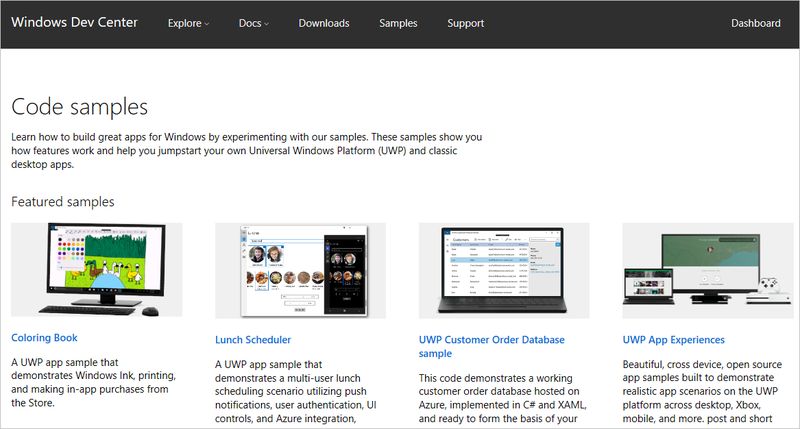 You get everything you need to create your first UWP app in one place. Discover the latest features in Windows 10 for developers, and then learn how to use them in your apps. We're very excited to connect with our developers through Docs.Microsoft.com. Be sure to watch this this short video that explains how to start contributing to the content. In addition to new and updated docs, we created a new Code Samples page to help you find the Windows samples on GitHub. There are a bunch of samples already available, and we want you to be able to easily find them by narrowing down your search criteria by technology area, language, and platform. We'll keep updating this page, creating new samples, and adding GitHub repos, so bookmark it and keep coming back. We want you to have a great experience with Windows docs, so we'll keep moving more of them to Docs.Microsoft.com. This will include docs for hardware developers, desktop developers, and more. We'll keep you posted on our progress. Feel free to give us your feedback.